Growing up, Full House was something that we watched as a family. The situations were relatable whether it be within our family or someone else’s we knew. It was an opportunity for my parents to casually do a check and balance with us in a comfortable way. Some things don’t change, right? I find I do the same with my own kids. Often shows can segway into discussions that may not have the opportunity to do so otherwise. I look back with fond memories to these shows and like many of you, I claim certain shows as part of childhood. Full House was one of my shows. DJ was like my sister. Kimmy was like my goofy friend who always seem to be around. We all have a Kimmy in our lives and she’s the one that we will always be there for you. While we’ve already learned that the Olsen twins will not be returning immediately in this first season because the timing just wasn’t right for them, we can only hope that eventually they will make an appearance, even if we get a “You’re in big trouble mister!” or a “You got it, dude!” The rest of the cast tells us they still feel like a family and have always supported each other. They respect the wishes of Mary Kate and Ashley Olsen but you do get a sense that they miss them in the new series. And John Stamos (aka Uncle Jesse) still is a heart-throb. Have mercy! Where is his secret fountain of youth? Someone please get me some? He seems to be riding another wave of popularity lately and now that I’m older as well, I can actually say that crush still goes on. Exec. 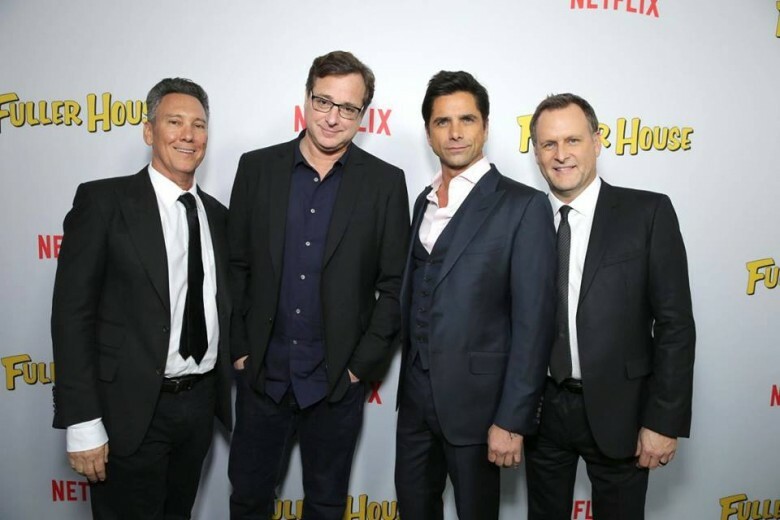 Producer Jeff Franklin, Bob Saget, John Stamos and Dave Coulier seen at Netflix Premiere of “Fuller House” at The Grove – Pacific Theatres on Tuesday, February 16, 2016, in Los Angeles, CA. Recently we had a chance to meet up with a few of the cast members of the new and updated Fuller House in L.A. to find out what was like to return to the set and what was like to grow up with the whole world watching. 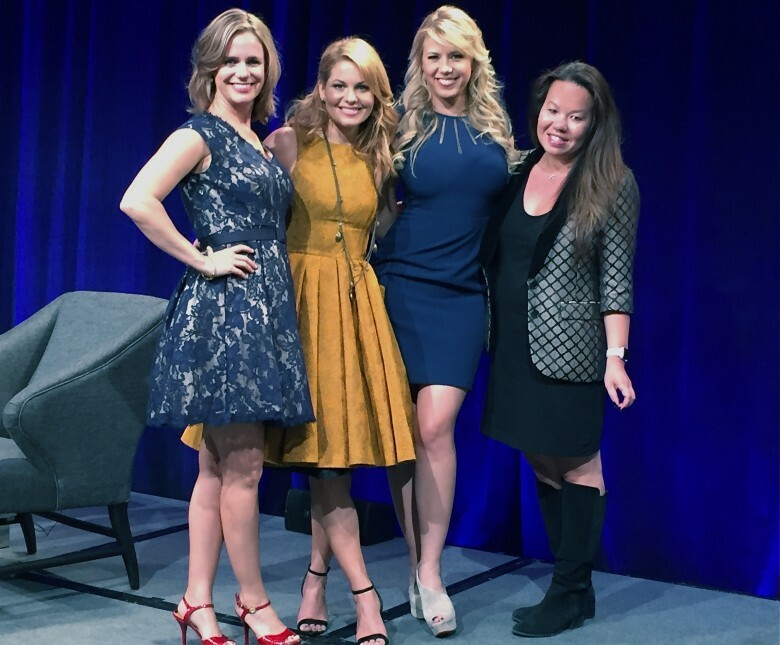 Meeting Candace Cameron Bure (DJ) , Jodie Sweetin (Stephanie) and Andrea Barber (Kimmy) was immediately comfortable and familiar. Now as moms themselves they are able to relate even more with viewers just like me. And yes, it might be hard to believe but they are moms in real life now! Fuller House picks up current day and we get to see how the Tanner family has evolved since the shows original series ended. The show centres around DJ, who’s a single mom with two kids and realizes that help is very much needed from her Full House family to manage. While juggling being a parent as well as a professional career, the house becomes a home. As you would expect, situations do arise that the family have to deal with but the show reminds us that you can always count on family and friends to help solve problems. So, I had to ask them… What was it like to step back onto the set? Having had a chance to get a sneak peek of the new series already, I can tell you that whether you grew up with the Tanners or not, you get all warm and fuzzy even from the first episode of Fuller House. So, let’s hug it out and take this next step in life together…with our kids in tow. 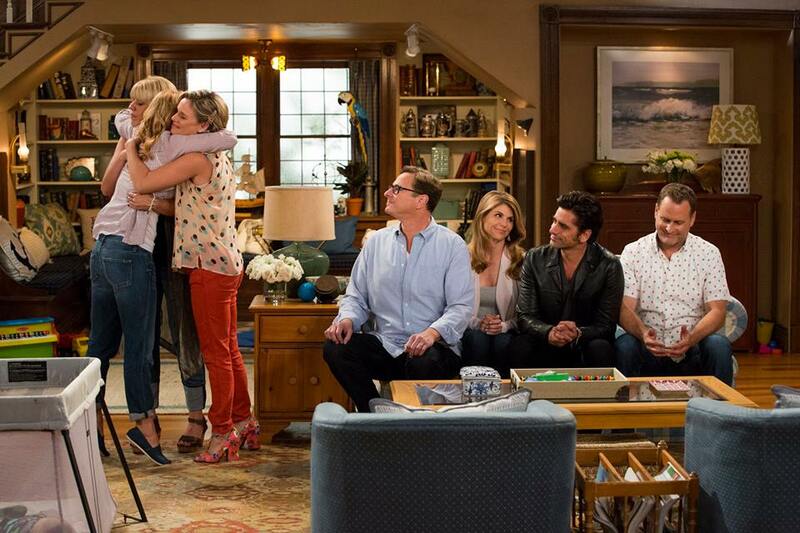 Fuller House begins streaming exclusively on Netflix starting February 26, 2016, and I’m looking forward to being able to watch this as a family.